As soon as the belt arrived I put it on - and have worn it every day since! The leather itself is thick and I expect it to last quite a long time. 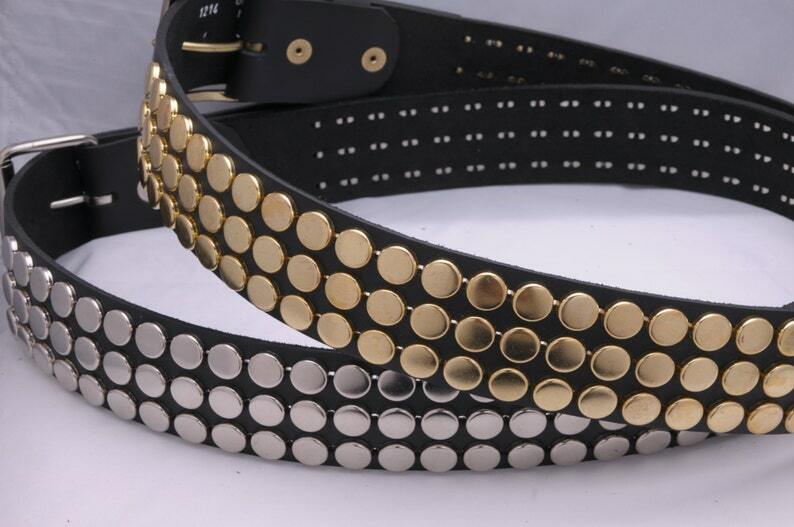 I like the rounded, button studs, it's very reminiscent of the classic pyramid belt and has a kind of blingy 80's vibe. Altogether a great belt! Thank you so much for the wonderful belt. It’s perfect, exactly what I wanted. Absolutely love the two belts that I️ ordered. Quality is amazing And this shop is fantastic. I️ was able to exchange my belts because I️ ordered the wrong size and the seller was so great about it. I️ will have these belts for a lifetime and I️ will absolutely be ordering again. thank you so much for another of your perfect belts!